My son hasn’t called me since 2/18/015. I called the correctional facility to find out what was going on. I was told that he was in solitary confinement. I have been so worried. I just received a letter from him. He knew I would be worried. I am posting the letter. It is a positive, upbeat letter. The prison system has not changed him yet. He still has a good outlook on life. He has always been this way. He always looks for the best in people. He always finds excuses for people’s behavior, even in the situation he is in now. He says things like, the judge didn’t know all the facts or the attorney probably had too many cases and couldn’t concentrate on his case as much. It drives me crazy. 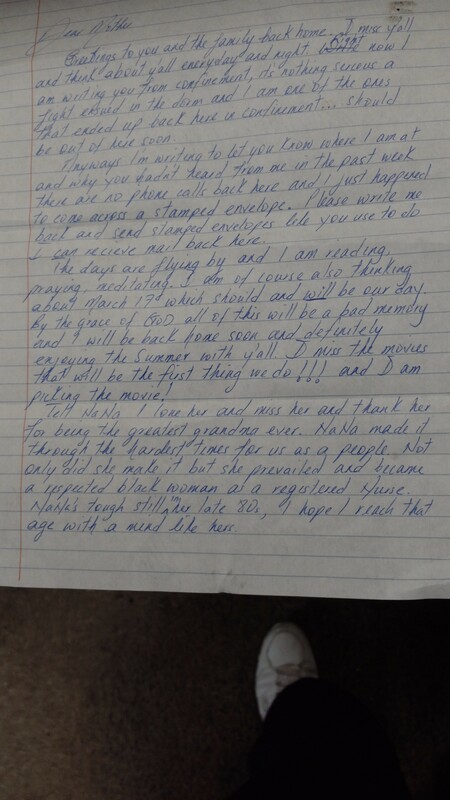 I am concerned about his mental difficulties in confinement but his letter has made me feel a little better. I am crying and laughing at the same time. 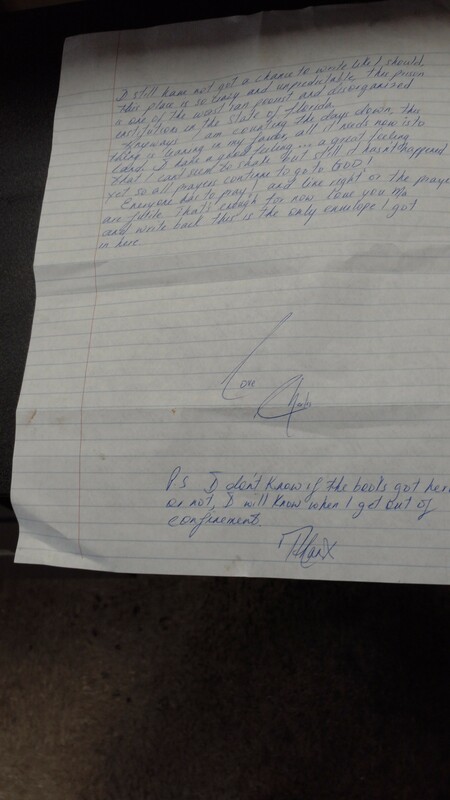 Well, here is his letter. i totally understand that feeling i haven heard from my son, so is my daughter in law for last few days she try to schadul for visit lock down no opening so we are worry how his doing my poor innocence child lets hope and pray for thier safe return home god bless!! The past few days have been mentally exhausting, otherwise I would have replied to your comment earlier. Thank you for your kind words. I will pray for your family also.